The following was posted in advance of the launch of Toptal Scholarships for Female Developers. To support scholarship applicants, Toptal has also published a guide to making your first open source contribution. Women are underrepresented in tech. This realization is nothing new. Just look at numbers released by Facebook, Google, Intel, Slack, and many, many more. But the numbers might be even worse than these reports imply. At a recent tech event, I overheard a side conversation about the lack of gender diversity in tech. The small group was discussing the fact that even though women make up about 30% of the workforce in tech, higher level engineering teams rarely have more than a few women. One of the reasons that proving discrimination is such a challenging task in employment law is the fact that proving workplace discrimination requires showing a discriminatory state of mind. For obvious reasons, direct evidence of discrimination is rarely available, as few, if any, employers or supervisors would ever admit that they engaged in unlawful discrimination. Thus, eliciting circumstantial evidence (that evidence which inferred from other circumstances) can be crucial to a successful discrimination claim/lawsuit. This evidence includes demonstrating that the employee was treated differently from other similarly situated employees, certain remarks that would suggest hostility toward an employee because of his/her race, age, disability, religion, etc. One of the very common ways in which employer try to deny allegations of harassment and discrimination by aggrieved employees and refute circumstantial evidence of discrimination and wrongful termination is by arguing that the reason that they treat the subject employees differently is because of their poor performance. It’s not uncommon for an employer who is trying to get rid of a certain employee to create a “paper trail” of performance issues by issuing warning letters, having counseling sessions with an employee, and take other unethical measure to mask the true reasons for the planned unlawful employment termination. Rebutting the poor performance argument through documentation evidence and statements of co-workers with regard to the employee’s good performance is an important part of many, if not most, discrimination and wrongful termination claims, as it casts doubt on the employer’s true motives for discriminatory conduct and termination and suggest that the real reason for employee’s termination was other than his/her job performance. Alameda county is one of the most ethnically diverse areas, which brings lots diversity into workplace. With all wonderful benefits of having a variety of people from different backgrounds and cultures at workplace, this sometimes inevitably leads to animosity and conflicts between different racial groups and claims of race discrimination, racial harassment, and wrongful termination claims based on racial conflicts and claims of retaliation. Employers who employ two or more large groups of workers from different racial backgrounds are likely to find themselves in situations where members of two or more racial minority groups of employees complain that the members of the other ethnic group engage in unlawful racial discrimination and harassment. For instance, it is not uncommon for the County of Alameda government agencies in Oakland, Alameda and surrounding cities to face these kinds of issues. An employer may find itself in a predicament in such circumstances. On one hand, the employer has an affirmative obligation to conduct a prompt and thorough investigation of harassment and discrimination complaints as FEHA (Fair Employment and Housing Act Requires), and take all appropriate measure to remedy harassment/discrimination. On the other hand, if the employer takes action against the alleged harasser, such as suspension, administrative leave, or termination, the company/agency runs the risk of being sued for racial discrimination by the disciplined employee. 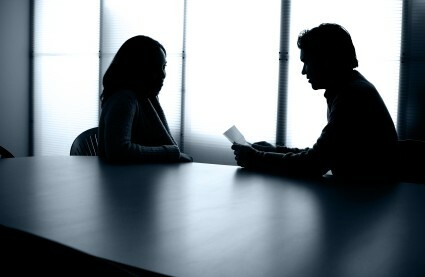 This is one of the major reasons why it is so important for an employer to make sure that the conducted investigation is as thorough, unbiased and well documented as possible, as it will serve as a strong defense against discrimination and harassment allegations, showing that the employer too all reasonable steps to prevent/remedy discrimination and harassment. The California Fair Employment and Housing Act basically defines two categories of disability: mental disability and physical disability. Each category contains its own specific definitions. In addition, under FEHA, an employee with a “medical condition” which is not quite considered a disability is also entitled to a reasonable accommodation. The following are the specific definitions of physical disability under FEHA:having any physiological disease, disorder, condition, cosmetic disfigurement, or anatomical loss that affects one or more of several body systems and limits a major life activity. The body systems listed include the neurological, immunological, muscular and skeletal, respiratory, speech, reproductive, digestive, urinary, lymphatic, skin, and endocrine systems. The major life activity is considered limited if it makes the achievement of that major activity difficult. It should be noted that sexual behavior disorders, compulsive gambling, kleptomania, pyromania, or psychoactive substance use disorders resulting form the current unlawful use of controlled substances or other drugs, are specifically excluded and are not protected as disabilities under FEHA. Should you complain about discrimination and harassment at workplace? It is common for an employee who is subjected to discriminatory conduct or harassment at workplace in California to be afraid to complain about the harasser to his superiors for fear of retaliation and losing a job. However, an aggrieved employee simply has nothing to gain by keeping quiet. In most cases, the harasser’s unlawful conduct not only doesn’t stop, but becomes progressively more unacceptable and egregious, causing more stress to the victim of potential discrimination and harassment. Even more importantly, by not complaining, and employee not only doesn’t allow the employer to address discrimination and harassment and possibly discipline the harasser, but the victim virtually forecloses possibility of having viable legal claims for discrimination and harassment in the future. Unless the harasser is the aggrieved employee’s supervisor, and employer is not liable for discrimination and harassment, if the employer did not know or had not reason to know that such discrimination or harassment took place. Therefore, if you believe that you are subjected to unlawful discrimination and/or harassment at workplace, it is crucial that you complain about the conduct in writing to your human resources department and higher if necessary. In your complaints, you should outline in detail the facts and the circumstances of what you believe to be an unlawful conduct toward you at workplace, requesting prompt, thorough, formal investigation of your allegations as required by law. The California Fair Employment and Housing Act requires employers to make reasonable accommodation for the known disabilities of applicants and employees to enable them to perform a position’s essential functions, unless doing so would produce under hardship on the employer. “Reasonable accommodation” means that employers have an affirmative duty to accommodate disabled workers. Some highly appointed executives often argue that their company should not be liable for failure to provide reasonable accommodation because the disabled employee did not inform them personally of his condition and only informed his/her immediate supervisor. However, this argument will not allow the employer to escape liability because a supervisor is the employer’s agent for purposes of the duty to accommodate. That is, if a supervisor has acquired knowledge that he or she had a duty to communicate to the employer information about an employee’s disability or medical condition, a conclusive presumption arises that the supervisor had done so. California Fair Employment and Housing Comm’n v. Gemini Aluminum Corp (2004). This law makes perfect sense, as it would be unreasonable to expect a disabled or sick employee to notify of his condition every person superior to him in the company, especially if that company is large and employees hundreds of supervisors and managers. Arkady Itkin, San Francisco employment lawyer. Is downsizing a defense for discriminatory termination of employment? As one California court recently pointed out in Kelly v. Stamps.com Inc. (2005), downsizing alone is not necessarily a sufficient explanation, under the Fair Employment and Housing Act, for the consequent dismissal of a worker. An employer’s freedom to reduce its workforce and to eliminate positions in the process, does not mean that it may use the occasion to conveniently get rid of protected workers. Invocation of a right to downsize does not resolve whether the employer had a discriminatory motive for cutting back its work force, or engaged in intentional discrimination when deciding which individual workers to retain and release. At least two facts were considered by court as casting serious doubt of discriminatory motive on the employer’s decision to terminated a pregnant employee, when the employer tried to argue that the reason for that termination was a reduction in force in the Stamps.com case: (1) the employee’s track of excellent performance; (2) hiring a new employee, who was not pregnant, instead of the terminated pregnant woman. If you have been, or are about to, be laid off due to the alleged downsizing of your employer, but you suspect that the true reason for your termination might be discriminatory and has little to do with the downsizing itself, contact Arkady Itkin – San Francisco employment lawyer to discuss your situation at work. Under California law, an employer is required to promptly and thoroughly investigate any claim of harassment, discrimination, or retaliation through a formal workplace investigation. The obligation to investigate arises out of the affirmative duty under the Fair Employment and Housing Act, Cal. Gov. Code section 12940(j) and (k) to take all reasonable steps necessary to prevent discrimination and harassment from occurring. The duty to investigate a harassment claim promptly and throughly exists whether or not the claimant consents to an investigation or cooperates with one. Further, neither an employee’s failure to report harassment nor the fact that the harassment stopped before the investigation began conclusively absolve an employer from liability for discrimination and harassment. Moreover, it is not enough for an employer to conduct an investigation without also taking measure to protect the employee from retaliation. Employer’s failure to investigate an employee’s complaint adequately may violate California anti-discrimination laws. To be adequate, the investigations should be commenced immediately or as soon as practicable, and be completed as soon as circumstances reasonably allow. Investigations commenced within a day or days of a complaint and completed within a two-week period have been routinely upheld as timely. Waiting until after the complainant has filed an administrative charge with DFEH or EEOC will be presumed inadequate. While the complaint is undergoing investigation, the employer should take steps to prevent contact between the complaining employee and the alleged harasser, such as rescheduling or placing the alleged harasser on leave.